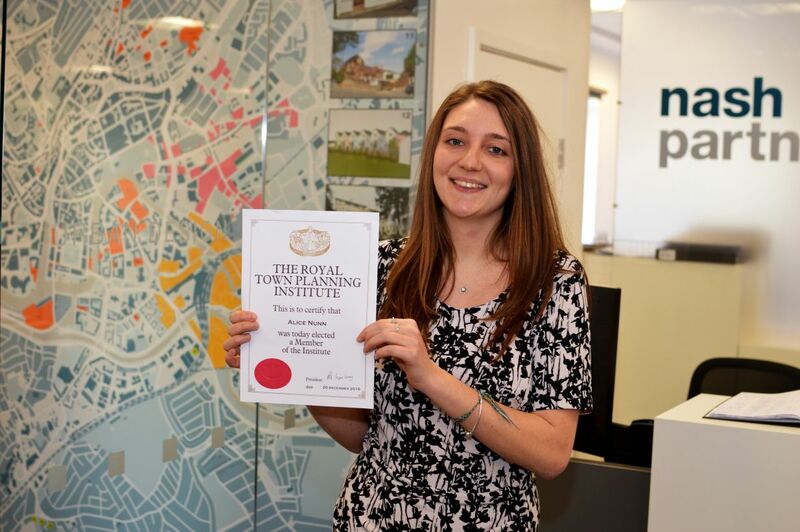 Alice Nunn from built environment consultancy Nash Partnership has been elected as a Chartered Member of the Royal Town Planning Institute (RTPI), increasing the practice’s complement of Chartered Town Planners to four. To gain membership, Alice had to undertake an assessment, which included submitting a portfolio across a variety of planning work and a proposed plan of professional development. This included her work last year on obtaining planning permission for an indoor trampoline park on the edge of Bristol city centre for client Freedog. As an in-house planner at Nash Partnership, Alice works with the practice’s designers, heritage and regeneration experts on projects across the UK. This multiple skill set has helped Alice to develop a wide range of planning experience, which supported her successful application. In 2015, fewer than half of the RTPI’s applicants (45%) made it through at the first attempt, which makes Alice’s achievement even more significant. At 22 February 2017, the RTPI had approximately 1,500 Chartered Members based in the South West region.